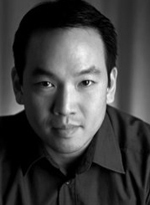 Roger Ma specializes in hand-to-hand combat against the undead. He is the author of The Zombie Combat Manual: A Guide to Fighting the Living Dead. His new book, The Vampire Combat Manual: A Guide to Fighting the Bloodthirsty Undead, focuses on surviving an attack from a hunting succubus. He is the founder of the Zombie Combat Club and the Vampire Combat Club, organizations that focus on battling the undead without the aid of a firearm. He was recently featured as a zombie expert on the History Channel documentary "Zombies: A Living History." He currently trains in Brazilian Jiu-Jitsu. He lives in Brooklyn, NY.